Since what I call compact computers were introduced in the 1970s and started replacing giant mainframes, people have been. finding new ways to use them. From keeping accounting records to playing video games, they have made a huge impact on all of our lives whether we like it or not. The grocer's checkout counter, the airline's ticket desk, even the landscaper's layout of that new back yard design are all done digitally. It only makes sense that our monetary systems would follow suit. 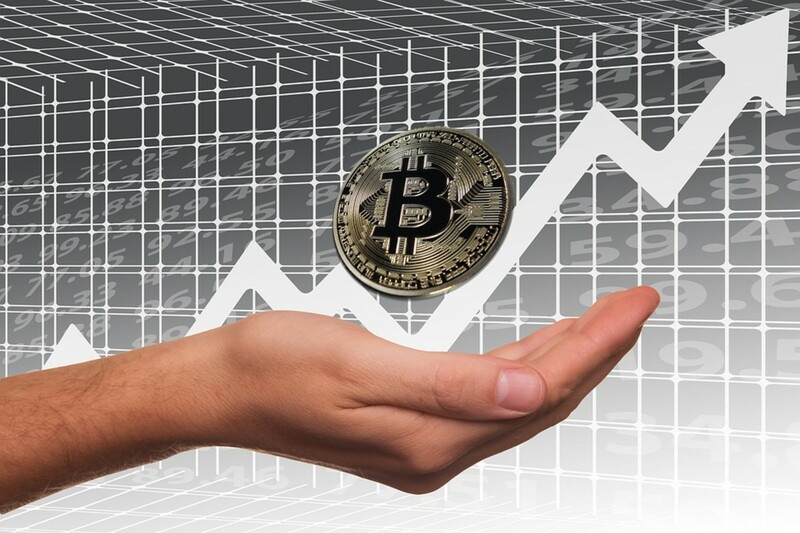 These coins are then are sold on exchanges for legal tenders throughout the world. They are also bartered for by merchants, tradesmen, and such. I know web developers who accept them as payment. I have offered to be paid in BitCoin but haven't had any takers as of yet. Merchants across the globe are using them as their value seems to increase over time. I received a donation of .0001 BitCoin a few months ago. It was at the exchange rate of $264 US dollars worth $.0264. Now as of this writing BitCoins are exchanging for over $900. The donation I received is now worth $.09. Can you see how this is going? There are literally BitCoin millionaires who got in early and rans their own miners, or bought them when they were not worth anything. Those people are now worth millions. You don't need to run a miner to buy and sell them, or receive them as donations, or payment for services or goods. I simply run an android app that accepts or sends them though my digital wallet. Since there is no "paper" money involved it just stays on the computer, which can be dangerous. A backup just like the one you would use for the important files on your desktop, laptop, or tablet would need to be used. Some people just write their BitCoin address (a unique set of characters only you can send coins from) on a piece of paper for their own access. This is called a paper wallet. I back mine up on jump drive. the logo for BitCoin. Often you will see it abbreviated as BTC. Since it is a separate system completely independant of the legal tender systems of the world such as the United State's Federal Reserve system of banking, there is no way to tax it. It is peer-to-peer run. There are a few nodes generating and exchanging large amounts of it, but even if the governments of the world shut those few down, litteraly millions of miners will still be running, and millions of computer clients and phone apps will still be able to trade them. The governments of the world can ban it, but much like how the value of booze skyrocketed during prohibition of the 1920s, and the value of elicit drugs ramped up during the war on drugs of today, the medium of exchange will just flourish under a ban. I find it to be unregulatable by governments. They can try to regulate it, but much like alcohol regulation of today, moon shiners will still be running BitCoin stills. If they try to tax it, much like the tax dodgers of today, people will find a workaround. They may end up nailing a few small frys like they do with IrS tax dodgers, but the rich will just find loopholes, and hidden accounts, and even hidden computers behind Tor networks. Just google "Tor" to find out what that is. This hub would become a "War and Peace" article if I even touched on that. Assuming that I am correct on these former points I've made, it wouldn't supprise me if governments started to conduct "sabateour" operations. They could do this by buying millions of BitCoins, then dumping them off quickly, thus driving down the price. And, since governements work with taxpayer funds, eh, no loss for the agencies performing these actions. How easy is it to gamble with someone else's money? Pretty easy for me to do so. Another thing they could posibly do is shut down any publicly known business that uses BitCoin. It coud take a while to do it, but when it comes to monopolzing currency in order to protect the trillionaires like the Rotheschild, and Rockefeller dynasties, who knows what they are capable of. You see, currencies like the Federal Reserve note cannot survive if fewer and fewer people use it. More and more must be barowed from them in order to maintain their empire. BitCoin doesn't need to increase its use. As long as a steady tream of transactions occur, not much changes. When BitCoin gets hoarded, like gold, it's value goes up. When people dump it off, it's value goes back down to earth. Speculating on it can be profitable, or disastrous, depending on how smart you are with it. I've adopted a "buy and hold" policy. I now have about $2.00 US dollars worth, a regular BitCoin baron if you will. So if BitCoin collapses, I may end up getting a couple MP3s from an online vendor before it goes. Who knows, I may end up being a BitCoin millionaire too! If offered BitCoin as payment for work you've done, would you accept it? Just like the railroads coming from the east to the western United States bringing civilization, You can't stop progress. This technology is going to be around. If they do happen to stop it's affect, another similar trading program will take it's place. 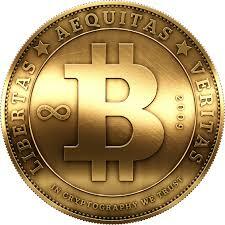 There are already other competitors out there such as LiteCoin, NameCoin and PPCoin. There's even one for beer drinkers called BeerToken. No matter where you stand on these cryptoCurrencies, it's going to be entertaining to watch. Yes. I tried mining them but like I said in the article, it drained too much power on my beat up old Linux box. Bitcoins are very interesting. If you want to learn how to mine them, please read my Bitcoin hub and follow me. Thanks!